Nope, still haven’t changed my mind about how weirdly villainous Marlin Creed seems. Remember the last guy in this strip who was named “Marlin”? He was illegally harvesting sea turtle eggs, just putting that out there. Anyway, the fact that Marlin has introduced himself by his full name and yet refers to his assistant only as “Jim” is telling. The real question is: who is Jim? 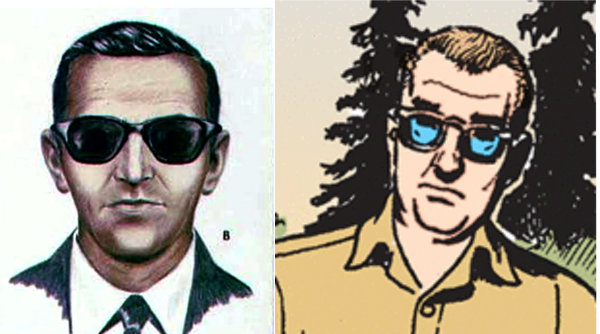 Is he famed hijacker DB Cooper? 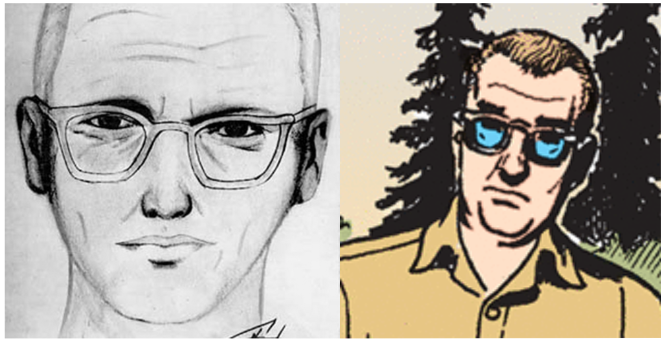 Or is he the notorious Zodiac Killer? Either way, we’re in for a rollicking elephant-cage adventure to come! Be careful there, Dot: throw around talk like that and your mom is going to think that someone in the house is leaking information about the Flagston family’s criminal activities to the Feds, and that someone might end up gettin’ wacked. When you pay for International First Class, you’re of course paying for lie-flat beds, semi-private mini-suites, and lots of attention from the flight crew; but you’re also paying for the shrieking to be kept to a minimum. Looks like Bangalla Air is going to be getting some angry letters from representatives of the country’s overlapping government and business elites!